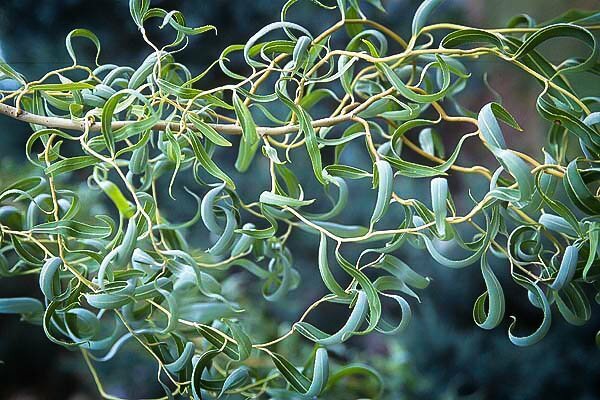 Trees with exotic forms are in high demand and none is easier to grow or more beautiful than the Corkscrew Willow. This small to medium-sized tree is grown mainly for the beauty of its exotic twisted branches, which are most noticeable in winter and create a lovely picture. 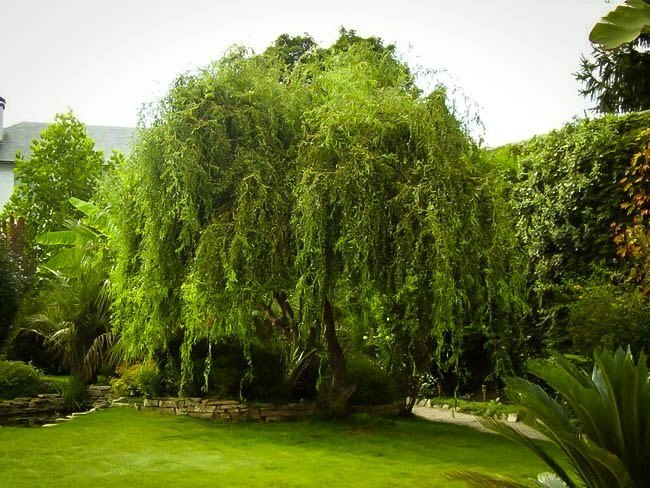 The Corkscrew Willow grows quickly to a height of 20 to 30 feet and 10 to 15 feet across. 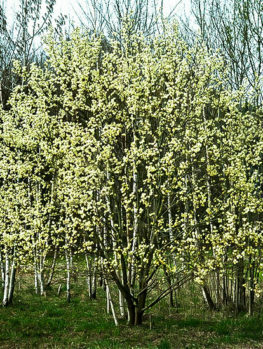 It is an easy and fast growing tree that will grow in any kind of soil, in full sun or partial-shade, even in damp areas, such as the banks of rivers and streams, or by ponds. This tree will grow from zone 4 to zone 8. A terrific way to produce an attractive small tree in just a few years, this tree is a visual centre piece and a real talking point with friends and neighbours too. 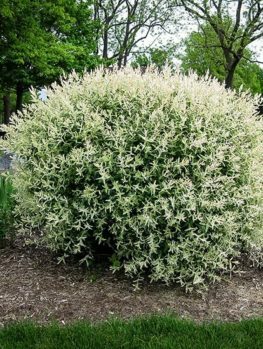 Winter can be a bleak time of year, especially in the northern states, so plants that bring interest at that time are always valuable additions to your property. The Corkscrew Willow is at its best in winter, when the bare branches twist against the winter sky, creating a romantic and exotic picture in your landscape. These twisted branches can be cut and brought inside to make lovely winter arrangements, alone or mixed with other winter foliage and they will look beautiful in your home. They are in high demand by florists and flower-arrangers. 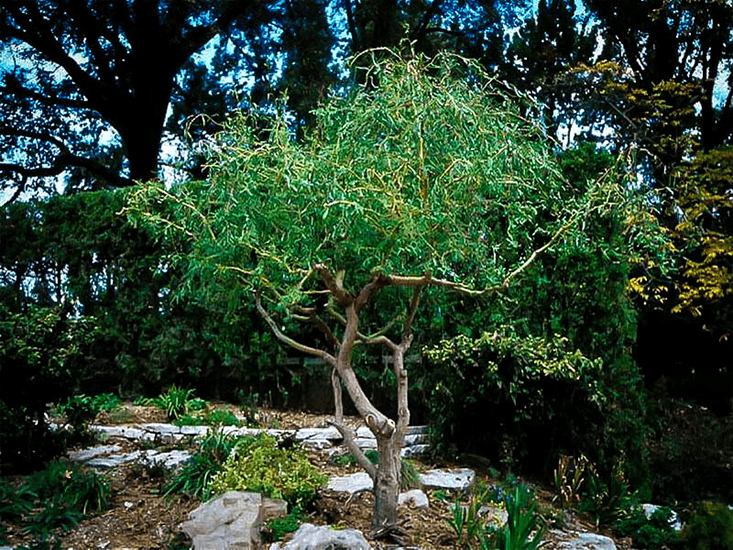 The Corkscrew Willow is a hardy, fast-growing tree that will grow 2 to 3 feet a year and can be grown from zone 4 to zone 8 in any type of soil. 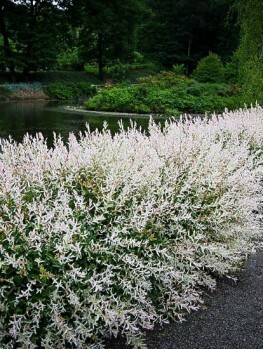 It will do best in damper soil and even wet soil, so it is an ideal specimen to plant along a stream, by a lake or near a large pond, where it will reflect its beauty in the water and look even more romantic. A tree as exotic and attractive as this is always in high demand, so although we receive regular shipments, shortages can occur. If you want to enjoy this unique and beautiful tree in your own garden, make sure you order now to avoid being disappointed. The Corkscrew is quite small for a Willow tree and it does not have the same large root system that other willows do. 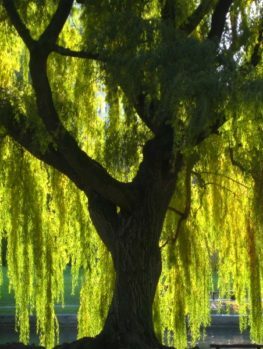 Of all the willows it best suited for smaller gardens and since it can be pruned very hard if needed, its growth can be controlled for almost any space. 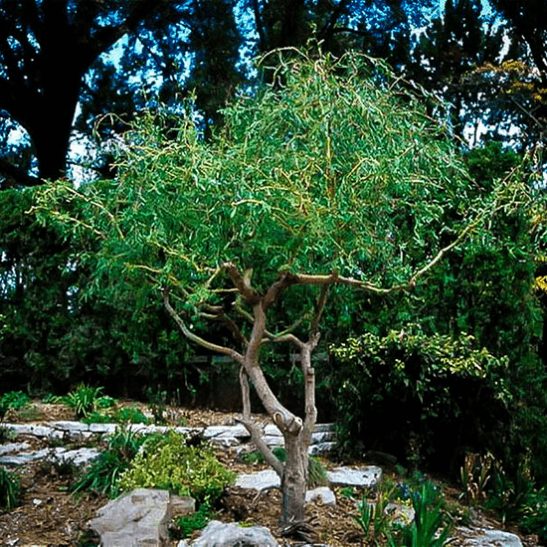 If your garden is extremely small, or you have just a courtyard or terrace, this tree makes an exotic hardy plant for a container, where it can be pruned back and even grown as a bonsai, to give an oriental feel to the simplest garden. This tree can be grown everywhere except for the coldest parts of the mid-west and the warmest parts of the South and the West Coast. It will grow in any soil, from sand to clay and from acid to alkaline, as long as it is not dry. 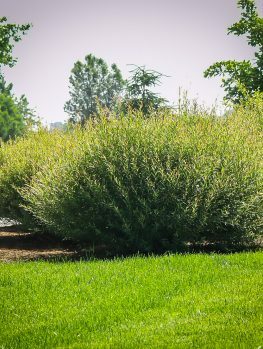 Established trees can tolerate periods of drought, but this tree does best in damp or even wet soil where many other trees will not grow, so it is an ideal choice for planting by water. It looks lovely reflected in a pond or stream and seems most at home in that kind of location. If you just have a small pond, plant this tree in a large, attractive pot and stand it by that pond. It can also give an instant oriental look to the garden and is an ideal choice for a potted tree in a courtyard or on a terrace. 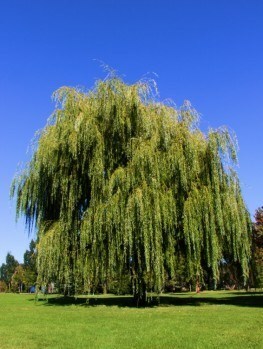 The Corkscrew Willow will grow in full sun or partial shade. It can have some minor pest problems but these are rarely serious and it is resistant to deer and is non-invasive, so it is an ideal choice for a larger country property. This tree will quickly grow 20 to 30 feet tall and 10 to 15 feet wide, with a semi-upright habit. The stems grow upright at a narrow angle to the main trunk, before gracefully curving over to a horizontal position as they mature. All parts of the tree are twisted, from the leaves to the branches and the young shoots. The young stems are olive-green, turning light brown as they mature and the bark on the main trunk is dark-brown, roughly textured and attractive. The flowers are small, green ‘catkins’ that are less than an inch long and hidden among the new leaves in spring. The leaves are 2 to 4 inches long, narrow, spear-shaped and twisted. They are an attractive yellow-green in spring, turning to a fresh, light-green all summer and then making a lovely display in fall when the whole tree turns a bright, clear yellow. The Corkscrew Willow is a special form of the Chinese Willow (Salix matsudana). This tree, as you might guess, grows wild in northern China and is one of around 400 types of Willows found in all countries of the Northern Hemisphere. 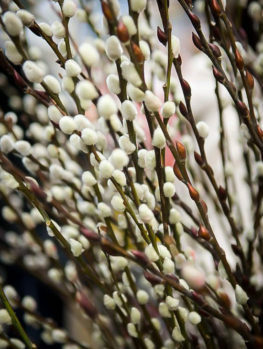 The wild form of this plant is rarely seen outside China, but the twisted form (Salix matsudana ‘Tortuosa’), which is the Corkscrew Willow, was brought to America in 1923 by the famous Arnold Arboretum of Harvard University and distributed across the country to become a favorite tree of all gardeners. A tree with such an unusual form must be grown the correct way, from stem pieces of properly identified plants. Our trees are produced in this way, so avoid cheaper seedling trees that will not have any of this trees exotic qualities and beauty. To plant your Corkscrew Willow, choose a location where the tree will have room to develop and dig a hole that is twice the width of the pot. Place the tree at the same depth or just a little deeper than it was in the pot and replace most of the soil. Water well and when the water has all drained away replace the rest of the soil. Water weekly during the first season and then keep your tree moist, especially in summer. If your Corkscrew Willow should become too large it can easily be pruned as much as needed. It can even be cut right back to the trunk and it will quickly re-sprout and grow back rapidly. 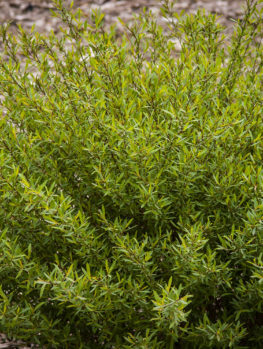 With regular pruning it can be kept to almost any size, especially when growing in a container.